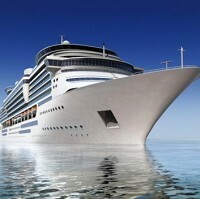 Safety measures for cruise ship passengers have been enhanced after a review by international operators. The new rules, agreed by the US-based Cruise Lines International Association (CLIA) and the European Cruise Council (EEC), exceed current global legal requirements. The first measure covers the stowage of lifejackets on new cruise ships - operators will have to provide "equal to or greater than the number required by international regulations" near muster stations or lifeboat launch sites. This is to give crew members easy access to lifejackets so they can give them out to passengers swiftly in an emergency. The CLIA and EEC said the policy will enhance safety as passengers will have greater access to lifejackets. Other measures covered include the securing of heavy objects on board cruise ships and a requirement for commonly owned and operated fleets to synchronise bridge operating procedures. While the three policy changes are set to improve safety, passengers should still take out cruise travel insurance before travelling.